Home › web › Share your Graphs- a new feature of the Graphing Calc! 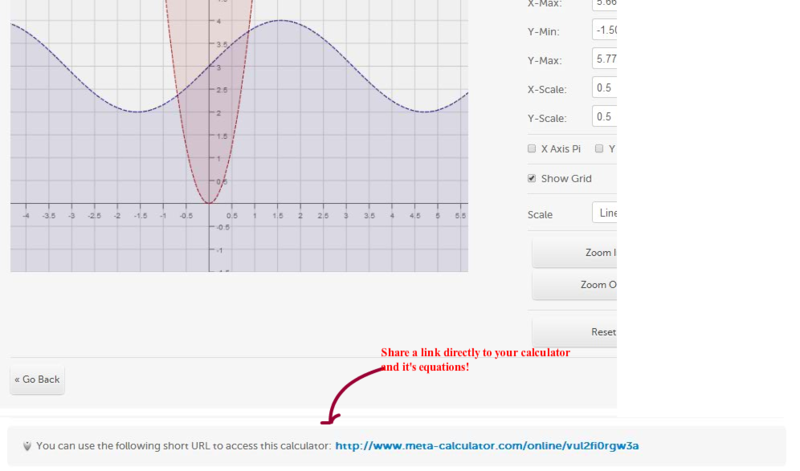 We’ve been working hard at meta-calculator to make it easier to share your calculator’s graphs. Of course, you’ve always been able to download your graph as an image, but now–if you enter a series of equations into the calculator and want to share a direct link to the actual state of the graph with the equations, you’ll now notice something new at the bottom of the graph screen- a link . This new feature should make it easier for students , teachers or anyone to share their work. At the current moment, only the graphing calculator is shareable; however, we are working on allowing users to share their work for any of the calculators.